Dr Sojin Lim is Senior Lecturer and Course Leader for both MA North Korean Studies and MA Asia Pacific Studies at the School of Languages and Global Studies, University of Central Lancashire (UCLan). She also works as Deputy Director of the International Institute of Korean Studies (IKSU), and Chair of the Northern England Policy Centre for the Asia Pacific (NEPCAP). Prior to joining UCLan, Dr Lim worked for aid agencies as senior research fellow with hands-on field experience. 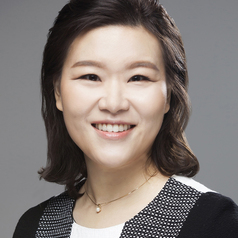 She obtained a BA and a MA from Ewha Womans University and a PhD from the Institute for Development Policy and Management (IDPM) at the University of Manchester. Dr Lim’s research interests lie at development studies, area studies, public policy, and political economy: development experience of South Korea; development assistance to North Korea; transformation of state system; global norms and compliance; and accountable institution and fragile states.